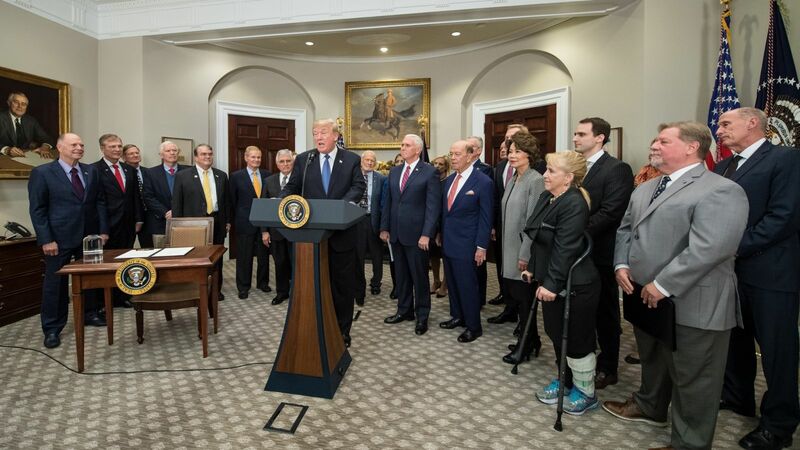 Trump said that this policy announcement was made almost 45 years to the minute that Schmitt was one of the last Americans to land on the Moon. He pledged that Schmitt would not be the last. President Trump’s “flag and footprints” comment reflected the October recommendation by the National Space Council – led by Vice President Mike Pence. Lightfoot also said that the policy officially ends NASA’s existing effort to send humans to an asteroid. President Obama directed the agency to pursue the asteroid mission in 2010 as the next step to Mars. 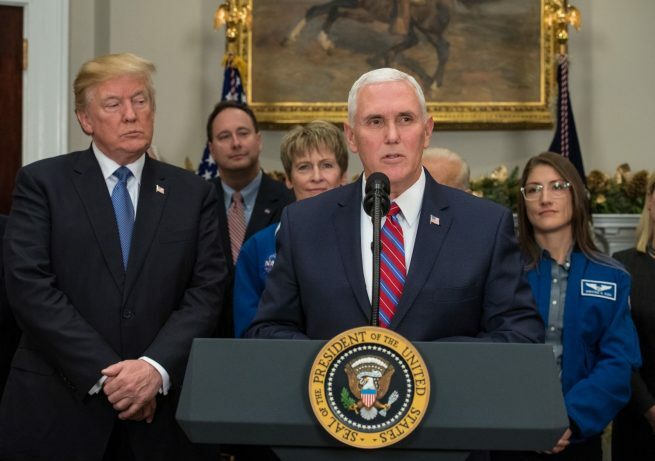 Trump’s policy returns NASA’s attention to the Moon, hearkening back to the Vision for Space Exploration announced by President George W. Bush in 2004. Like the Bush policy, the new policy emphasizes the Moon as a jumping-off point for Mars and beyond. Work toward the new directive will be reflected in NASA’s Fiscal Year 2019 budget request, due out early next year. “I want the entire NASA workforce to know that this policy builds on the incredible work you already are doing,” Lightfoot said, referring to the SLS and Orion programs. A spokesperson for Lockheed Martin, the prime contractor on NASA’s Orion spacecraft, told Spaceflight Insider that the company supports the president and vice president’s vision and commitment to returning American astronauts to the moon. Coalition for Deep Space Exploration President and CEO Dr. Mary Lynne Dittmar also expressed her organization’s support. 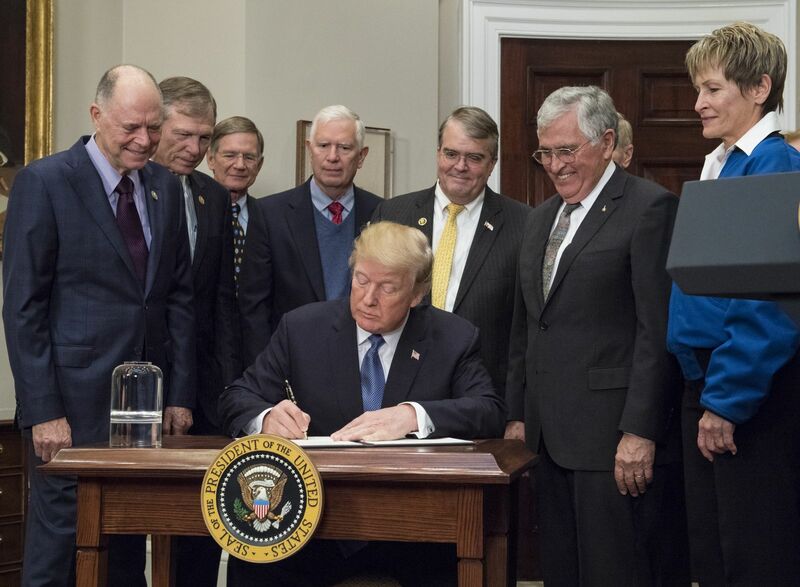 Dittmar said that the presidential directive affirms U.S. leadership in human space exploration while laying the foundation for eventual missions to Mars and beyond. The motivations behind the policy were spelled out by Trump and Pence, who also spoke at the ceremony. “Space has so much to do with so many other applications, including military application,” Trump said. Pence seconded the national security aspect, adding that pursuing these objectives would enhance U.S. national security and its capacity to provide for the common defense of its citizens. As has happened with the plans of the last presidents, once Trump leaves the White House, everything will be changed and another priority will be created. I have to agree with that. It takes the Congress to put something into law or some flexible that keeps the ever changing leadership from interfering it when it program actually working! The SLS will fly and that will generate public support for a lunar return. Blue Moon looks like a good possibility as a lander. Ice and Lava tubes and mountains of eternal light all point to a permanent Moon base being mostly self-supporting and practical. It won’t be like the space station to nowhere: once there is a critical mass of people and infrastructure it will not be doomed to fall out of the sky. I hope you’re right, but in my opinion, if they do not find something profitable on the Moon, those plans will not last long. It is time for a new space initiative, and hopefully Congress will support this goal with money and interest..